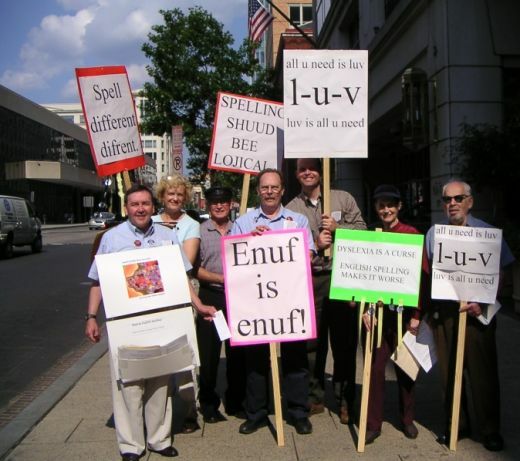 On June 4, 2010, a group of protesters from America and the UK gathered at the Washington, DC venue of the annual Scripps National Spelling Bee competition to demand that English spellings be simplified. The protesters were from the American Literacy Council and the London-based Spelling Society. "Our alphabet has 425-plus ways of putting words together in illogical ways,” Fox News quoted Mahoney to have said. One of the most memorable slogans of the protest was: "Enuf is enuf. Enough is too much." That is, it would be sufficient to simply spell the word “enough” as “enuf”; the word’s current spelling is illogical overkill. 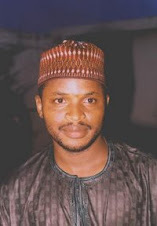 I have written about English spellings in previous articles here, but I found the article below about the 2010 spelling protest really interesting, and thought I should share it with my readers. It is written by a language activist identified simply as “WoesOfACollegeKid” and originally titled “’Enuf is Enuf!’: Should we Simplify the English Language? ... Becuz perhaps we shood chanj the way we spell.” Enjoy. I’m a self-proclaimed linguistic snob, and I’m not ashamed to admit it. I probably judge you if you repetitively use “your” instead of “you’re”. I cringe a little when you use an adjective where an adverb should clearly be. Despite my vanity when it comes to all things grammatical, I am a horrid speller. I’m not ashamed to admit this either. As a matter of fact, I am so humble about my dysfunctional spelling that I think that it cancels out my previously mentioned arrogance regarding grammar. Once again, I digress. But thank God for spell-check. Seriously. Today, demonstrators gathered in front of the Grand Hyatt in Washington, D.C., the host site of the upcoming Scripps National Spelling Bee. The army was small but undoubtedly dedicated and unified as they sought to persuade teachers, congressmen, parents, and pretty much whoever would listen that the English language desperately needs to be simplified. Pointing out the fact that words like “fruit” should logically be spelled “froot” and numerous other examples, the picketers (who were representatives from the American Literary Council and the Simplified Spelling Society) believe that the reason that many ESL students have such difficulty learning English is because of irrational spellings that are frequent in the English language. They say that simplifying such spellings would increase literacy.